Have you ever been sound asleep at night and you were woken up by sweat dripping down your face? And then realized that your air conditioning unit has stopped working? If so, you are not alone and Woodlands AC Repair is here for you in the middle of the night. We understand that AC units can stop working in the middle of the night. And we do not want you to have to sleep uncomfortable in the middle of the night. When your AC goes out in the middle of the night there could be a multitude of reasons. And you are probably racking your brain as to why your AC unit went out. In this post we will highlight the top 5 reason your AC unit could have stopped working. And why you do not need to panic. Faulty wiring. Bad or faulty wiring can prevent the AC system from getting the power you need. Low Refrigerant. Reduced levels of Freon (the chemical that cools the air) could cause your system to stop working or continue to blow warm air instead of cool air. Outside fan is not working. Your outside fan may have stopped working properly. And proper heat transfer cannot take place and the compressor may have overheated. Outside unit is not functioning. Meaning, there is no power. The coil frozen. Frozen coil means there is a problem with the airflow. And it is obstructing the ductwork. Though you may be worried that your AC unit has stopped working and it will cost a fortune to repair or replace. You do not need to worry. 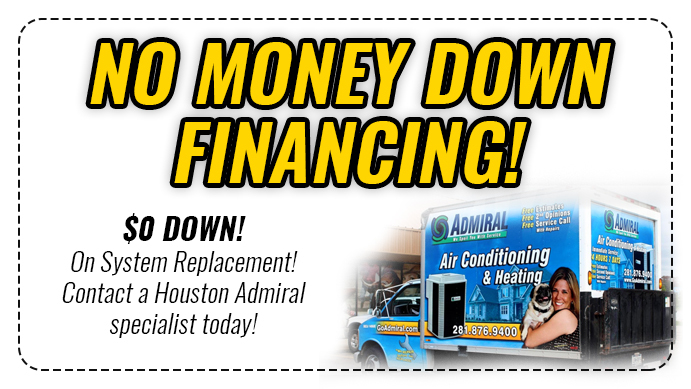 Here at Houston Admiral we have been in business for over 50 years because we understand that problems can happen in the middle of the night. And we will be there when that happens to fix or replace any problem you may have at an affordable price. 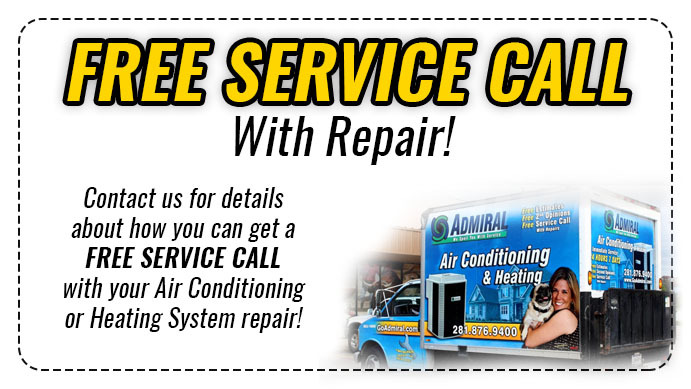 So, don’t sweat it out because we have you covered for Woodlands AC Repair.